Not a ruined village this time, but in view of the 100th anniversary of the world’s most famous shipwreck, I thought I’d have a look at another one, or rather two to be precise, the navi Romani of Lake Nemi. 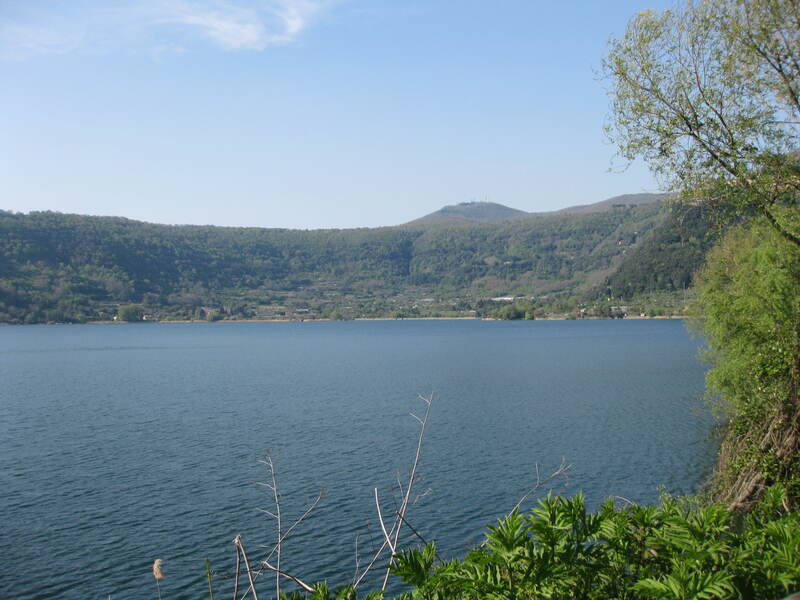 First, a little about Lake Nemi itself. Set in the crater of an extinct volcano in the Alban hills just outside Rome, it was sacred even before Roman times. The goddess Diana was worshipped here, as Diana Nemorensis, or Diana of the Woods, and the lake was known as speculum Dianae or Diana’s mirror, reflecting the moon (a major aspect of the goddess) in its oval waters. Diana’s festival, the Nemoralia was celebrated on August 13-15. Worshippers would converge on the site, many walking the 17 miles from the city to celebrate the goddess, surrounding the lake with shimmering torchlight. Her huge temple on the northern shores is still visible, in part, today. Nearby was her sacred grove, even older than the temple, where one tree in particular was guarded by a priest, who kept a constant vigil, sword at the ready, for challengers to his position. The only way anyone could succeed him was to kill him and just as he had killed his predecessor, someone, some day, would spill his blood and take his place as Rex Nemorensis, or King of the Grove. 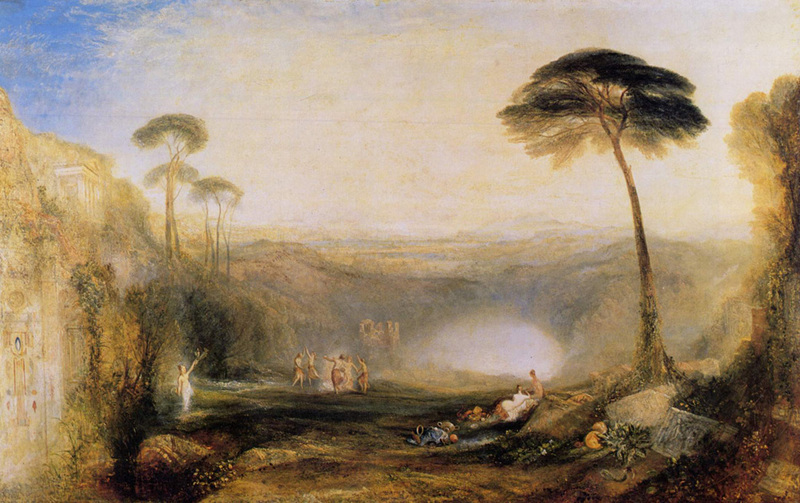 The story of the priest-kings of Nemi and their succession by murder (and Turner’s painting The Golden Bough, below) inspired the anthropologist James Frazer to write his famous study of religion, magic, superstition and mythology, also titled The Golden Bough. According to Frazer, the priests represented Diana’s lover and founder of the grove, Virbius (an incarnation of her Greek counterpart Artemis’s lover Hippolytus) who was also worshipped here. In his incredible 12 volume analysis, Frazer concluded that early religions were fertility cults centred around the worship and sacrifice of a sacred king. This king was the incarnation of a solar deity who underwent a mystic marriage to an earth goddess, died in winter and was reincarnated in the spring. Although modern anthropologists say he over-interpreted his evidence to fit his theory, Frazer’s book had a huge impact on modern literature; William Butler Yeats, Robert Graves, DH Lawrence, Ezra Pound, TS Eliot and James Joyce were all influenced by it, as well as countless fantasy authors. The two huge Roman ceremonial boats retrieved from its waters last century underline further this place’s importance throughout the ages. Archaeologically significant as the largest Roman boats ever discovered, like so much else about the lake, there is an edge to their story. Commissioned by Caligula, during his short but bloody reign (37AD – 41AD), one as a floating temple, probably to Isis who was also worshipped here and the other as a water-borne palace, they measured 70 metres by 20 metres and 74 metres by 24 metres. And with their marble floors and columns, mosaics, heating and plumbing, they were not only astounding in their opulence, but technological masterpieces. Caligula was assassinated just a year after they were launched, and the ships were stripped and scuttled. Although their disposal may have been a symbolic dismissal of the excesses of his reign, the ships were never forgotten. Local fishermen knew they were there and would sell small artifacts they retrieved with grappling hooks to tourists. 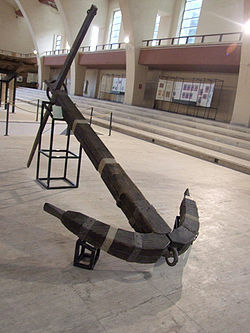 During the Renaissance, more serious efforts were made to salvage items from the wrecks, and in the centuries that followed, sporadic attempts to raise them to the surface caused significant damage. In 1927, the Italian dictator, Benito Mussolini, in a characteristically grandiose gesture ordered the lake to be drained and the ships recovered. An ancient tunnel used to lower high water levels was cleared and the lakewater pumped out of the crater. The lake began to drop in October 1928; six months later it was five metres lower and the first ship (prima nave) was breaking the surface. By June 1931, the water level had dropped 20 metres, the first ship had been recovered and the second, (seconda nave) lying some 200 metres away was exposed. But the loss of 40 million cubic metres of water from the lake had unforseen consequences. On August 21 that year, there was an eruption of mud from the underlying strata and 30 hectares of lake bed subsided. The lake began to fill again and the seconda nave was badly damaged. The project was abandoned until 1932. The boat was finally recovered in October that year, and a museum, built on the lake shore to house the boats, was opened in 1936. Had the story ended here, the boats would have been as well known today as the Vasa or Mary Rose, secure in their place amongst the world’s greatest archaeological treasures. But just eight years later, in 1944, disaster struck. In the chaos that followed the Allied invasion and Italian capitulation, the museum caught fire – torched, it’s widely believed, by retreating German troops, and the ships were burned to ashes. The museum eventually reopened, though and can still be visited today. The huge spaces where the ill-fated ships once stood underline the otherworldly fascination of the whole site. Footsteps echo on marble floors, displays are dwarfed by the emptiness in which they stand. The absence of the museum’s raison d’etre is poignant and thought-provoking, its ghostly atmosphere lingers in the psyche, resonating alongside the spiritual, cultural and physical elements of this astounding, unforgettable place.